A chemical formula specifies the number of atoms of each element in a compound. The connection formula shows the topology, how the atoms are connected by chemical bonds, usually without regard to their geometry. 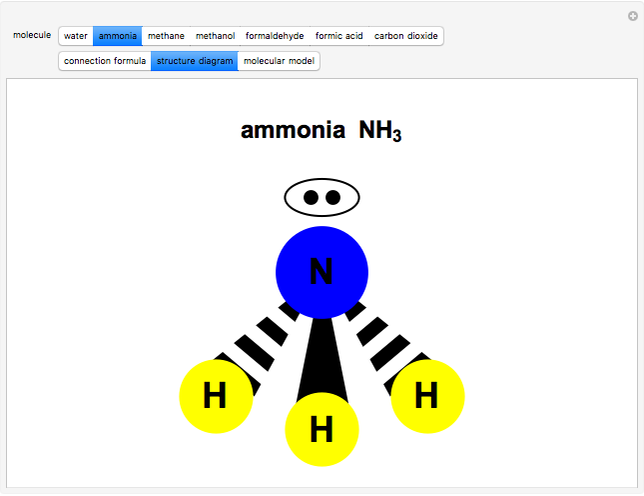 The actual geometric shape of a molecule can be represented by a structure diagram. This also includes the location of unshared pairs of electrons, which strongly influence the geometry. A Natta projection shows a bond projecting toward the viewer as a solid wedge, while a receding bond is shown as a dashed wedge. 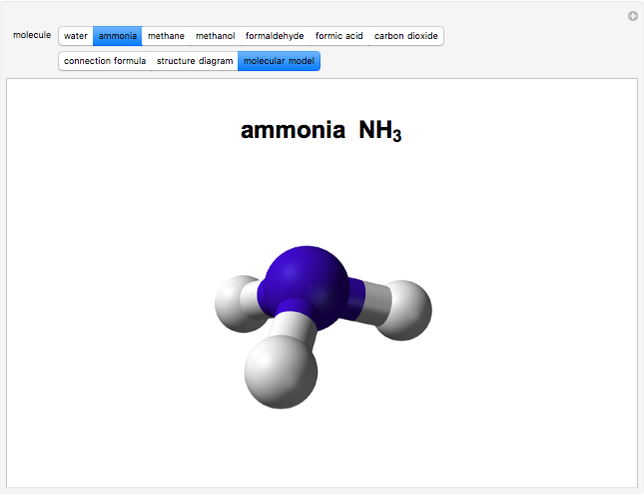 In this Demonstration, you can also chose to view a "ball and stick" molecular model. 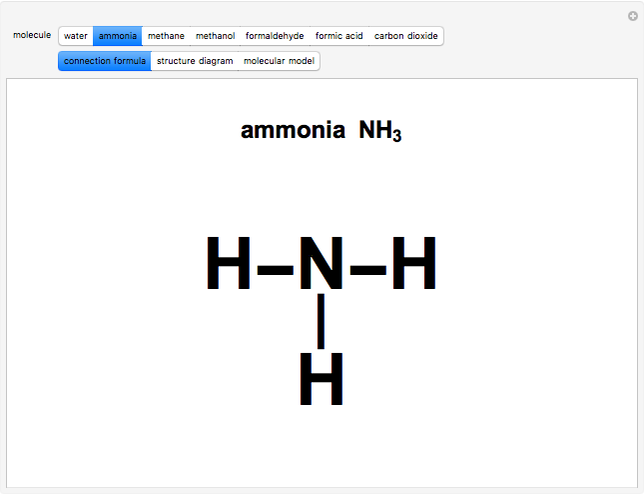 Beginning students in chemistry should become familiar with all these alternative descriptions of molecular structure. S. M. Blinder "Formulas and Structures for Some Simple Molecules"